SYTCO safety coupling is a mechanical device which is used in between two inline shafts to be couple with each other. The drive flange is placed on the bush and clamped in between two friction linings with the aid of cup spring washer by adjusting nut at desired torque. If the load exceeds desired limit then the drive element slips. Hence it protects damage and eliminates break down. Matching up with the exact requirements of customers, we are involved in presenting a wide array of Safety Coupling. 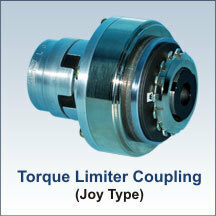 Rotolinear systems offer safety couplings or torque limiter with servo insert coupling. The model kbk/ekk is shown in the picture. This torque limiter has both side collet fixing and is available in maximum torque range of 500nm. The torque can be set at any torque within the range specified and torque setting can be varied or changed after wards. Push button safety coupler according european profile. We are the finest suppliers of Jaw/spacer (Powertech), the best coupling device for our valued customer. We offer this range of Jaw/spacer (Powertech) coupling in varied sizes and lengths. We fabricate this product as per the demand, need and requirement of our clients. Our customer can avail this product range with us at much comparable prices. demands of the EU safety directive 97/23/EF enclosure 1. Eliminates risk of fatal injuries. Our organization is instrumental in offering a vast range of fuel pump couplings sonalika. Designed in compliance with all the set industry standards and market requirements, our range is highly acclaimed in the global market. 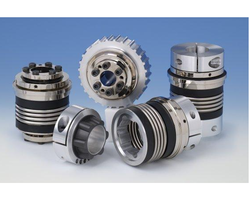 Our domain expertise allows us to also offer these couplings in customized forms as required by clients. These fuel pump Couplings are suitable for sonalika automobiles. Engaged in supply of starting and safety couplings. To match up the growing and varying needs of customers, we provide a wide array of Safety Coupling. Our product is used in various applications like automobile, robotics and many more. This Safety Coupling is available with us in accurate dimensions and highly durable.